Warren, MI – Warren Mayor James Fouts has directed Warren police to strictly enforce city fireworks laws this weekend. 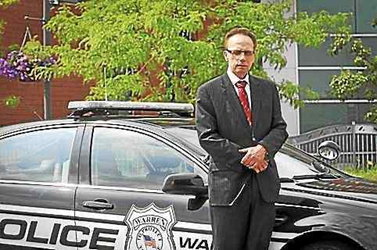 For the tenth consecutive year, Warren Mayor James Fouts will ride-along with a Warren police officer July 4 at 8:30 p.m. to monitor city streets for fireworks violations. Warren Mayor Jim Fouts added that a special task has been formed consisting of police, property maintenance inspectors, CERT (a police volunteer group), fire department personnel, and park employees, all of whom will be patrolling neighborhoods July 4. This year, for the fifth year, police undercover officers will also be on the lookout for fireworks ordinance violators. Warren Mayor Jim Fouts is the only public official in Michigan to voice opposition to the fireworks law passed by the State Legislature in 2012. “The new law is a money grab by state lawmakers at the expense of disrupting our neighborhoods,” added the Mayor of Warren. Warren Mayor Fouts says he supports the proposed state legislation that gives local communities like the City of Warren more control over fireworks. All City of Warren parks will be closed at 9 p.m. July 4. On Monday, July 2, from 11:30 a.m. to 12:30 p.m., and Tuesday, July 3, from 11:30 a.m. – 12:30 p.m., Mayor Fouts will do a random visit to commercial vendors of fireworks in the city to ensure that they understand the city’s rules on the sale of fireworks. City of Warren’s fireworks regulations.